According to Niantic, the core features of "Pokémon Go" on the Apple Watch allow users to log each play session as a workout, get notifications about nearby Pokémon, count distance toward hatching Pokémon Eggs and receiving Candy, receive notifications about nearby PokeStops and harvest them for items, and be notified when Eggs hatch and medals are awarded. Pokémon still need to be caught from the iPhone, however. 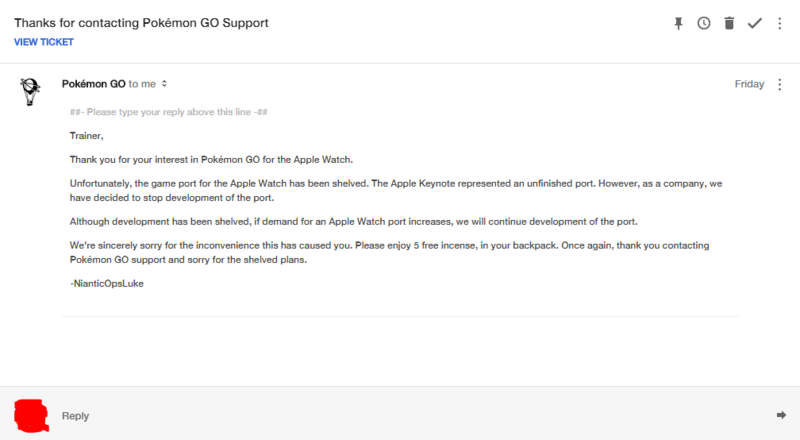 Early on Saturday, bogus rumors incorrectly claimed that the Apple Watch version of "Pokémon Go" had been canceled. The reports were based on an apparently fake email published by a Reddit user, which was claimed to be from a Niantic developer, stating that the version shown in ab Apple keynote was an "unfinished port" and that development would continue if demand increased. Shortly thereafter, some venues "confirmed" the report with sources allegedly familiar with the matter. 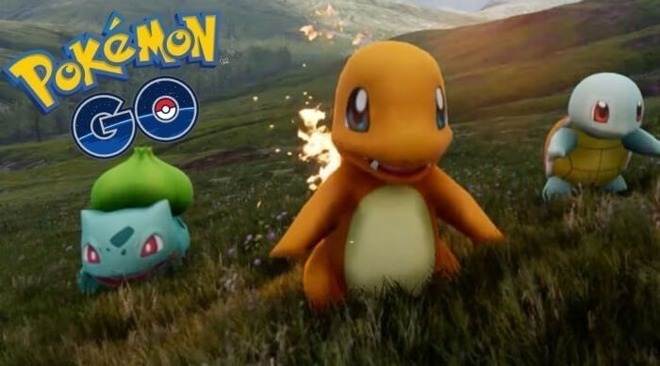 However, not long after the "confirmations" were published, the official "Pokémon Go" Twitter account took to action and shot down the speculation, reiterating that the game was "coming soon." "Pokémon Go" is available for free from the iOS App Store.